Is it any wonder that more and more, many parents are choosing to work two jobs, remortgage their homes, live leaner, smaller lives, make hard choices and sacrifices and whatever else it takes to send the kids to private school. 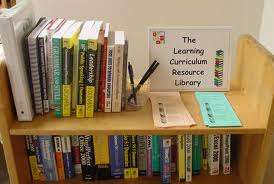 The latest round of fodder for a private school education comes after one school board in Ontario which announced it is getting rid of all of its school libraries. Hardly shocking perhaps for those who have witnessed the rapid deterioriation of school libraries over several years now, however, stunning for those of us who revere books and the place where they are found. I don’t understand it. Sure, we live in a tech age where books can be purchased, viewed and enjoyed digitally, and yes the whole act of pleasure reading is taking a back seat to electronic gaming, tv watching and other visual entertainment that does not involve words or text. understand the value of books, which are considered gold in some countries, I might add. How have we disturbed reason so much that we no longer have time within the daily/weekly or monthly school curriculum for library time. There are a zillion other parts of a school budget that could likely be revised, revisited, reworked to accommodate library time, librarians and librairies themselves. Goodness knows if one feels strongly about saving something, the money will be found. funds for the library? And yet it seems like every year the fundraising tactics increase and the school programs get nipped, tucked and slashed. Do not get me started on gym class.